The new Hospital Information System is a centralised web-based on-line real-time system that manages all national patient details. The system is also readied to facilitate the additional Patient Billing and Charges module that may be implemented in subsequent phases of enhancement projects to the core system. The HIS is an on-line system where all patient personal details, illness diagnosis, lab test results, and radiology image scans, and treatments are stored and can be viewed by authorised clinicians from any of the divisional and sub-divisional hospitals in Fiji. The HIS interfaces directly with the Lab Information System from StarLims to show the lab test results in image format. It is envisaged that at a later date the HIS will be enhanced to include the actual lab test results in the HIS. This extraction of lab test results by the Lab technicians allows critical test results to be viewed by clinicians from their desk top PCs. With the future inclusion of Billing and Charges into the HIS, it will allow the system to charge private patients on the use of resources, beds, and consumables. This future module will allow financial transactions such as Receipts, Payments, Journals to be entered at point of source, remote or local. This point of source entry means that the Receipts, Payments, and Journals are entered, edited, and confirmed for posting from any hospital centre in the country. The system is HL7 compliant allowing it to interface with other HISs around the world. The HIS allows all hospitals to keep specific information about patients thus giving the clinicians critical historical information on the patients and therefore allowing better and quicker diagnosis and targeted treatment. All test results (with the exception of Lab tests) and x-ray image will appear on the screen. These information will go where ever the patient goes. The system will be web based and accessing a central database. This centralised database will mean that all data will be up-to-date, and accessible anywhere within reach of the wide area network. The clinicians will have all key and critical information on the screen at all times. There will be a section on the screen that will show the patient’s Vital Statistics (Blood pressure, Heart rate, Sugar level), another section will show Allergies (to Drugs, Food), a section will show Alerts (Suicidal tendency, Physical violence, Police case), and another section will show Persisting Illnesses (Diabetics, Heart problems, Mental, Depression). The new HIS is HL7 compliant and will allow it to interface directly with other Hospital Information Systems in the world. The HIS interfaces directly with the Lab Information System from StarLims to show the lab test results in image format and will be stored under the patients’ records in the new HIS. This interface was made possible with HL7 compliance. A statement of visits and clinical transactions can be shown on the screen and can also be printed to show all the occasions of visits (episodes of care), the date, sickness description, treatment, final diagnosis and the doctor’s name. The statement will be very similar to the Bank Statements that we currently receive from the banks. Customer File Numbers are allocated automatically by the system, and Records Registry officers do not have to keep a tab of the next file numbers. System updates are controlled tightly to ensure that the update runs are performed accurately and with the appropriate authority. Clinicians are able to identify and verify patients photo on-line. This facility minimises the chances of any fraudulent activities being committed. Keeping track of every clinical details of the patients is very important but for as long as it is secure. Clinical notes can be written and amended within the day but once it goes over the day it can no longer be changed. This approach is taken to ensure that no other officers can make changes on a patients clinical notes on the basis of a genuine reason or otherwise. Once the day has crossed over to the new day all changes to any previous clinical notes can only be amendment by referring to the notes written beforehand. Patient records belonging to different Patients but are related can be entered and traced by the HIS. The relationship between the patients can be traced and possible genetic risk to certain illness can be measured and mitigated against. The system will be very easy to use as most users nowadays are familiar with the use of internet explorer and navigating within websites. The new HIS is just a website with a little bit more complex processes at the back end. The system is easy to maintain because every new versions are only uploaded onto the web server and is instantly visible to the users, instead of updating every single desktop PCs in all the hospitals. Once a user logon into the HIS he will only be shown the menus and tabs that he is able to access. There is no need to store a patient’s number and then go into a module and type in the patients number to see his details in that module. The new HIS is aimed at improving patient care by providing clinicians with on-line and real-time data on the patients. It becomes a tool for clinicians to heal the sick, instead of merely using it as a record keeping tool. Accurate diagnosis by clinicians can be assisted to a great deal with the presence of historical information on past sickness, and treatments. These data will be available on-line in the new HIS. Three unique features that uniquely apply only to Mental Health and Stress Management patients will be provided by the new HIS. These features are the Domiciliary Functions, Release on Trial, and the 5 Axis Categorisation of diagnosis on patients. In addition, a special internal transfer type has been created for patients who are admitted at St. Giles under a court order, in the vent that these patients require advance medical care at mainstream hospitals without having to discharge them from the St. Giles Hospital. A powerful search facility is provided to enable ease of access to any files or records. However, the security roles are enforced. Operating Rooms can sometimes make or break a hospital. It is where the rubber meets the road. There have been cases in developed countries where hospitals have closed down due to the non-performance of Operating Rooms. The new HIS will include a comprehensive OR Module that manages the appointments, steps taken, and critical checklists designed to assist OR Teams in performing their procedures well and preserving the safety of patients. In addition to the existing reports the new HIS will provide other new reports that will help operational and management staff in managing the department or hospital operations. Pregnancy & Births module is aimed at providing care for mother and baby prior to, during and after giving birth. Detailed tests and checklists are enforced at various points of the trimester to ensure that proper care has been taken into account when dealing with mother and baby. High risk mothers are contacted should they miss any of their prenatal or postnatal clinics. Immunisation and vaccination schedules are followed through to ensure that all babies are properly immunised. Reports are very important for Administrative functions. The new HIS will have better capabilities and easy to use tools to help the IT staff to provide ad-hoc reports as and when required. More IT inclined clinicians can also be trained to access the system and get their own reports as and how they want it and when they need it. This approach removes the need to have skilled IT people to provide this function. Security in the system is tightly controlled to ensure that authorised personnel only are the ones that can access and make changes to the data records that they have responsibility on. All clinicians and users in the Health Facilities will be classified into various groups and the security access will be in accordance to the rights granted to each of these groups by the organisation. The system will have an extensive audit trail facility that reports all changes to the patient records. The before-and-after images of all changes made in the customer database will be recorded and printed in an audit log. The audit log can then be reviewed by the Supervising officer or Manager to ensure that no unauthorised changes were made in the client’s record. All changes to the database are date and time stamped and also stores the identification of the officer that made the change. The exposure to internal fraudulent activities of any particular officer at the Hospitals can be minimised with the system’s support for standard segregation of functional access into the system. Depending on the Security Roles given to a particular user, the feature will not allow one single user to source a variation document, log into the system and make changes to the database and also prints out the audit log and reviews and approves the changes logged. The usual process is one officer sources the variation document, another officer is allowed to make the data entry and another officer (usually the manager) can print the audit log and approves the changes made. This feature therefore forces the organisation to have at least three different officers to be involved in any single change in the patient’s records. The HIS has a number of new and exciting future provisions that will make Medisoft a world class Hospital Information System. The major problem of having duplicate identification is likely to disappear with the use of Fingerprint scanning provisional to the approval of the Steering Committee and the Funding Agency. In the event that the fingerprint scanner is not working the option of using identification with the use of probabilistic unique key combinations can be used to hone in on the unique patient record. Probablistic keys could be Name, Surname, Date of Birth, and Address. The new HIS is designed in such a way so as to facilitate better integration to the Billing and Charges System. The Billing & Charges System will allow the hospitals to charge private and insured patients with the use of hospital resources, beds, and consumables. Once the patient is about to be discharge the invoice can be printed and given to the patient for payment or sent to the Insurance company for settlement. This Billing & Charges System is a full Financial Module with capability to record in detail Invoices, Receipts, Payments, and Journal Adjustments. It will also automatically generate GL corresponding entries for integration to the MOH Accounting System or Government’s FMIS. The new HIS, with some amendments on the application, can allow GPs to logon with very strict and limited access to patient records. Every patient attending a GP clinic will need to verify their attendance at the clinic by scanning their fingerprint at the clinic and then only the new HIS will allow the GP to view that specific patient details. This access to a patient record is automatically switched off after 30 minutes. To be in line with hospital services in the developed countries, on-line web access can be given to the public to allow them to logon to the system and view only their records. Allow patients to book for appointment to see their doctor. They can also view their statement of accounts and note the amount that they need to settle. The new HIS has the provision for the future in granting web access to Pharmacists so that the patients do not need to be carrying the prescription. They only need to go to any private pharmacy and give their National Health Number and the prescribed drug will appear on their screen and they can then prepare and dispense the drugs. Clinicians need to have direct access to historical and current information on the patient. This direct access can be made possible by building specialised module for Tablets that will provide ease of use access to clinicians. It is possible that they will want to enter some data into the HIS for specific patients. 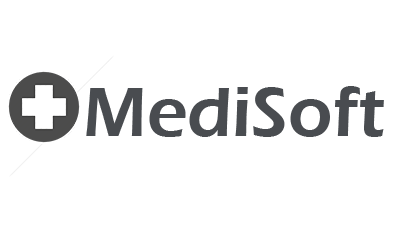 MediSoft is well suited for National Hospitals and Medical/Health Organisations.